Northampton goalkeeping coach David Watson has been appointed to coach the England Under-19 goalkeepers for their upcoming match with Switzerland. 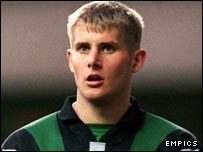 The ex-Barnsley keeper was himself an England Under-21 international before being forced to retire through injury. "It's a big honour for both Dave and the club," director of football John Deehan told the Cobblers' website. "Any international recognition is to be welcomed, and is a sign that the work we are doing is not going unnoticed."